Supercharge your beauty clinic in 2017 with Xero Lipo, the safe, clinically proven way to lose weight, reduce fat and maintain the results over the long term. If you run an aesthetic clinic, you’ll know just how quickly technology in the beauty sector can change. What was cutting edge technology can quickly be surpassed by treatments that achieve superior results. In 2017, one such game-changer is set to revolutionise the fat reduction market and become the go-to treatment for clients looking for a safe, clinically proven way to lose weight, reduce fat and maintain the results over the long term. The Xero Lipo, brought to you by the award winning team from Cosmeditech, is the most advanced non-surgical fat reduction platform on the market. Immediate and measureable are two words we don’t offer hear in the world of fat reduction, but the Xero Lipo performs four key functions that produce immediate and visible fat loss results clients can monitor with each treatment. With just one 40 minute treatment, patients can lose 2-4cms from their waist immediately, with the results improving after every treatment. Based on FDA cleared technology Xero Lipo is clinically proven to be safe, painless and not cause any of the side effects associated with other non-invasive technologies. This patient lost 1 inch of fat around her waist after the first treatment and a total of 4 more inches over the next 4 weeks. This was achieved without a restrictive diet, excessive exercise or any side effects. 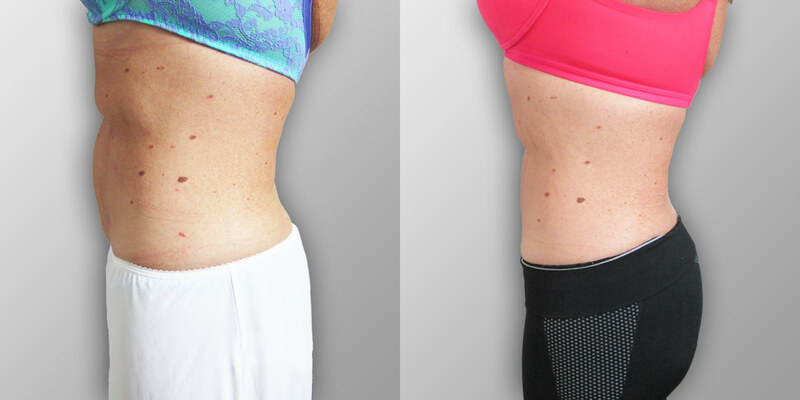 The Xero Lipo, brought to you by the award winning team from Cosmeditech, has received praise from clients and doctors alike. The future of beauty is now. The Xero Lipo programme offers clients a safe, effective and sustainable way to lose weight, reduce fat and maintain the results over the long term. As a new Xero centre, we will provide everything your clinic needs to deliver this cutting edge treatment and achieve the incredible results our clients have seen. This includes a comprehensive 2-day training programme to turn you and your team into fully certified Xero practitioners. We also provide full digital marketing support and social media assistance to get the Xero Lipo message out to the right people in your area. There’s free warranty and support whenever you need it, no lease obligation or interest payments and a low capital investment. The result is access to the most advanced non-surgical weight loss technology on the market that will take your clinic from Xero to Hero in 2017. To find out if Xero Lipo is the right choice for your clinic or MediSpa, please call us on 08000 38 55 80 or visit the Xero Lipo website to trial the Xero Lipo system or request more information.